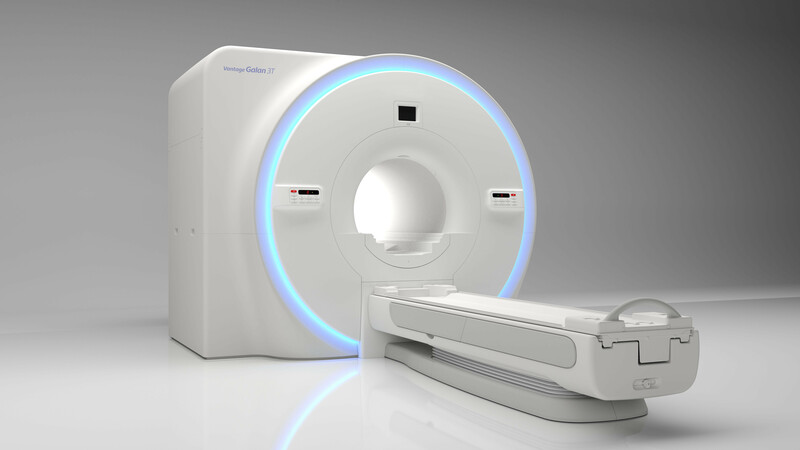 Physicians now have access to enhanced MR imaging capabilities with updated features on the Vantage Galan 3T from Canon Medical Systems USA, Inc.
CHICAGO, Nov. 26, 2018 – Physicians now have access to enhanced MR imaging capabilities with updated features on the Vantage Galan™ 3T from Canon Medical Systems USA, Inc. The Galan 3T now offers new software features to enable clinicians to streamline workflow by consolidating the usual processes of MR exams, saving time for clinicians while helping to provide a better patient experience. SUREVOI Knee and KneeLine+* allows clinicians to do quick automated localizing scans of the knees to allow for improved workflow. The automated software analysis automatically aligns anatomy for over 95 percent accuracy in determination and placement of standard knee view scans in just one step. FSE Dixon allows clinicians to take four contrasts in just one scan, including in-phase, out-of-phase, water only and fat only images. This simultaneous acquisition of standard and fat-suppressed images in a single scan can show uniform fat-suppression in difficult-to-shim areas. The new software is especially significant for workflow in spine and orthopedic MR exams. Quick Star – Breathe Freely** has novel applications that allow for free breathing image acquisition in regions that traditionally require patients to hold their breath. Radial data acquisitions that help with the reduction of artifacts related to motion in the abdomen also allow exams to be completed with fewer breath holds and greater patient comfort. Canon Medical is showcasing the new software on the Vantage Galan 3T at this year’s RSNA annual meeting in Chicago, November 25 – 30, 2018 (Booth #1938, South Level 3).